Hiking in Boston isn’t really a thing. Hiking near Boston, on the other hand, is a completely different story. You don’t have to go far from the city to find a trail waiting to be explored. And with plenty of spots to choose from, you’re bound to find the perfect place to get lost for the day. Better still are the incredible views of Boston and the surrounding areas. 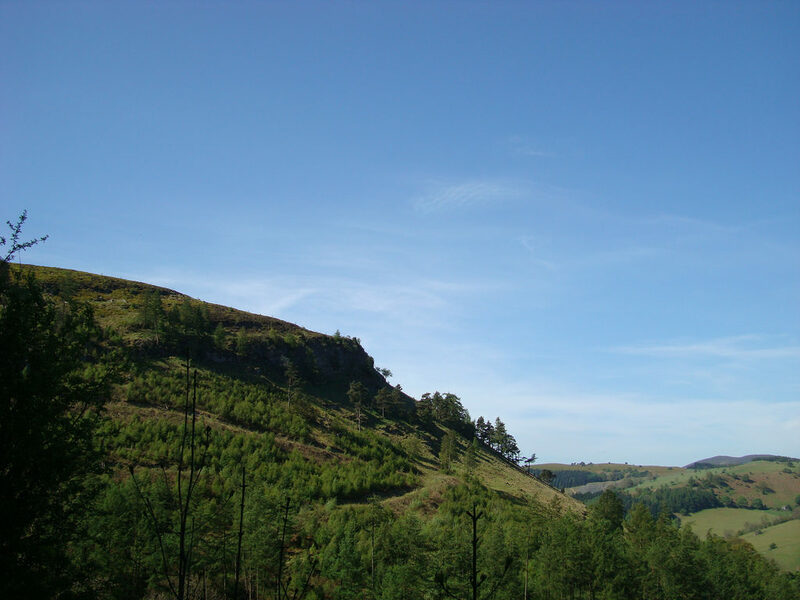 We might lack big mountains, but we’ve got stunning sightlines in every direction. Happy trails! Maybe the most famous outdoor destination on this list, Walden Pond has been the go-to spot for those looking for a quiet moment for nearly 200 years. 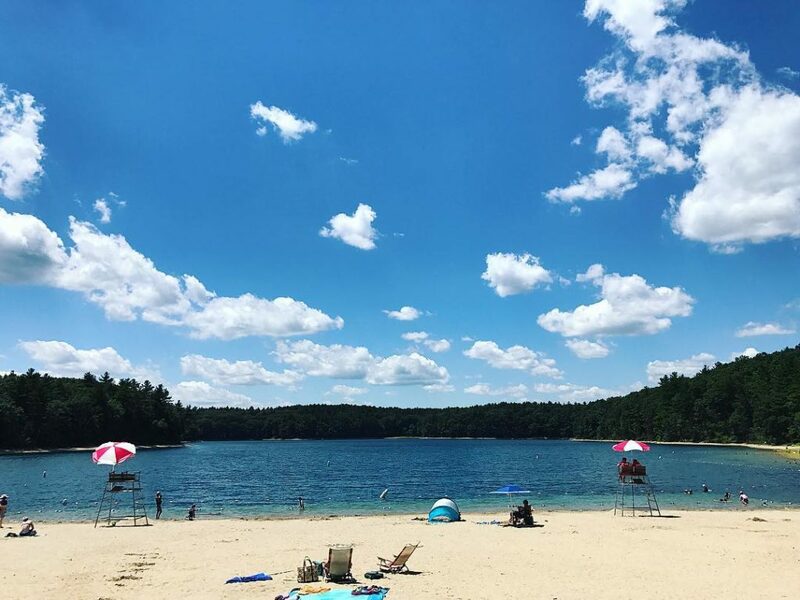 Spend the day at this 335-acre state park exploring the trails, visiting the site of Henry David Thoreau’s cabin, and swimming in the clear waters of the pond itself. Pack a few sandwiches and prepare to be transported back in time. 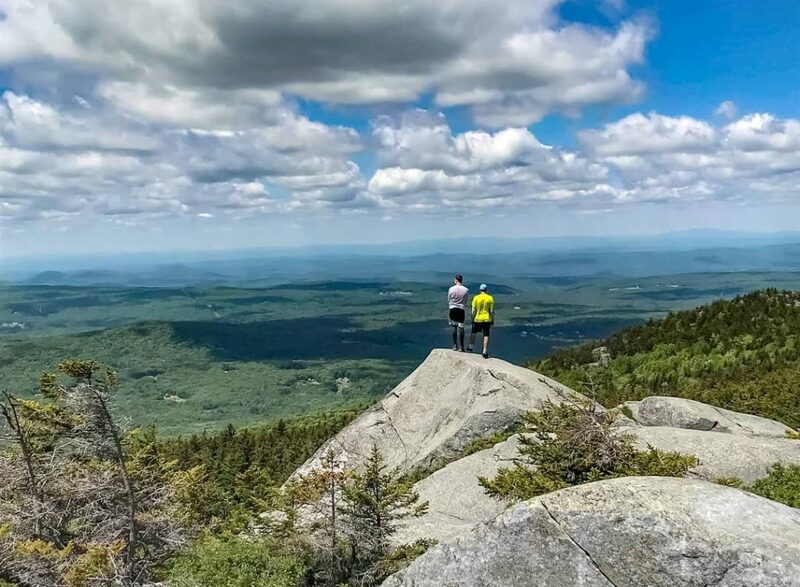 If you want to tackle a summit trail in Stoddard, New Hampshire but aren’t up for trekking the tall peaks of the White Mountains, you’re in luck. 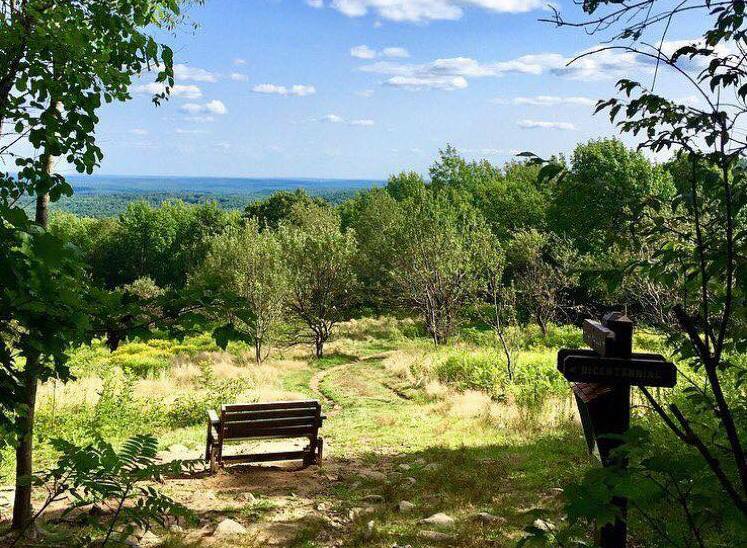 The Pitcher Mountain Trail in Stoddard is one of the easiest summit hikes in New England. But just because it’s easy doesn’t mean there aren’t great vistas. The view from the top is gorgeous and a popular spot to watch the sun set. Less than two hours from Boston, Pitcher can be hiked year-round, but we recommend visiting when fall foliage is at its peak. In the winter, Bostonians flee the city and often head to Wachusett Mountain in Princeton for a day on the slopes. And while we love a good ski day after a big snowstorm, we also love all that Wachusett has to offer in the other seasons. One of the best ways to enjoy the mountain, which is about an hour from the city, is to hike it. 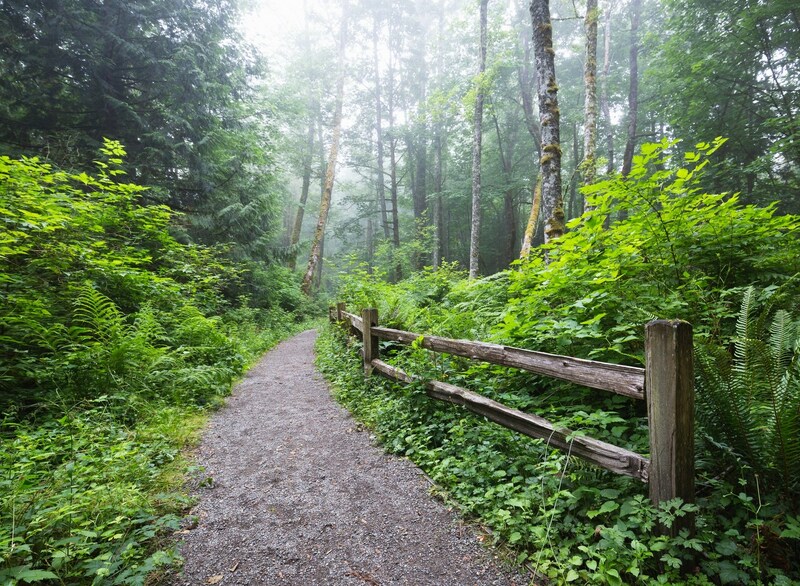 And the 2.6-mile Harrington Trail is the perfect way to work up a sweat on the steady ascent. 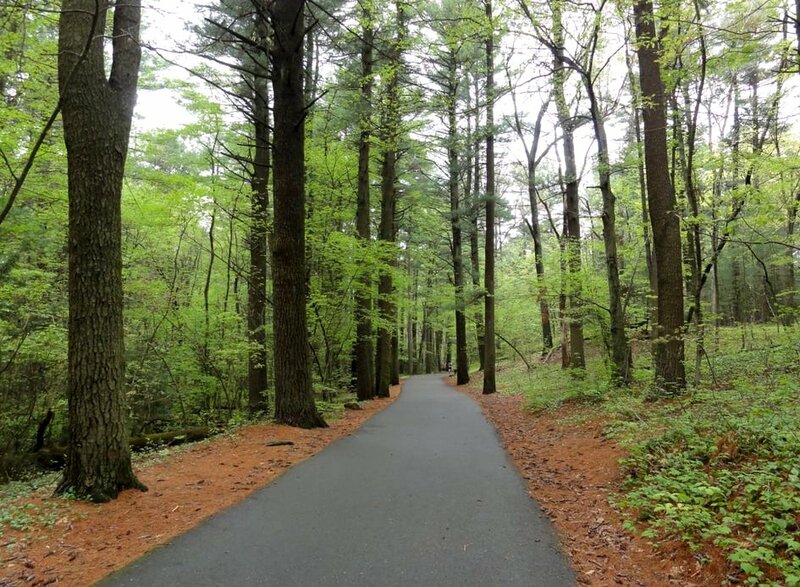 A 640-acre state park located north of the city in Saugus and Wakefield, Breakheart Reservation offers a lot of options for outdoor activities. One of the best ways to enjoy Breakheart is on its many trails, which are great for hiking as well as mountain biking and cross-country skiing. 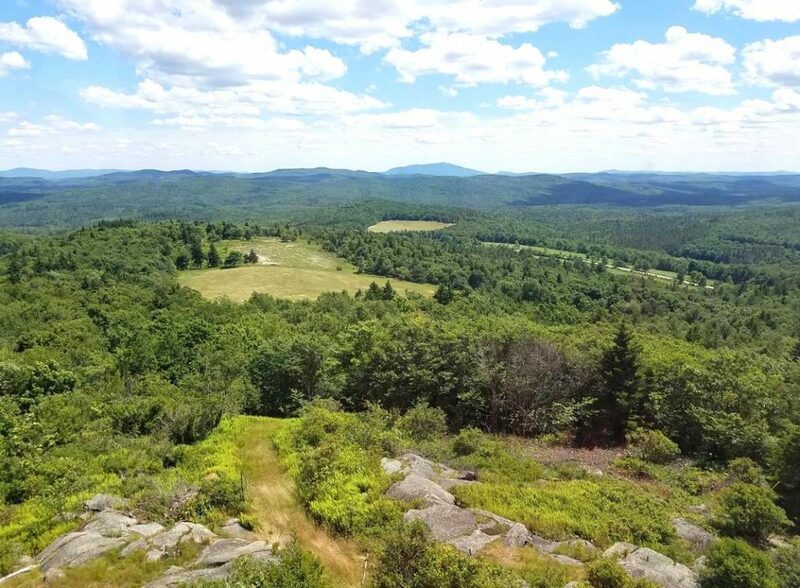 Climb the reservation’s seven rocky hills for stunning views of Boston, southern New Hampshire, and central Massachusetts. And to earn yourself some tired legs. 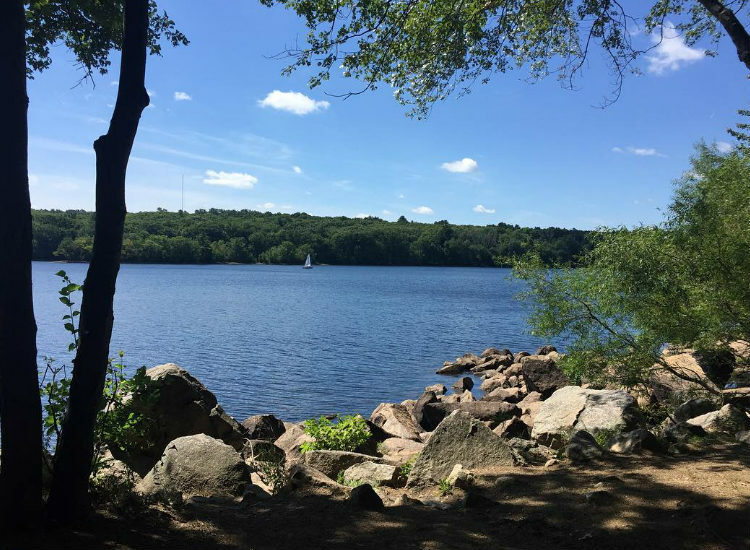 While Hopkinton may be most famous for its role as the starting point for the Boston Marathon, it’s also home to a pretty terrific state park. There are plenty of trails of all levels that will leave you feeling like you’ve traveled really far from the city without having to make a long drive. 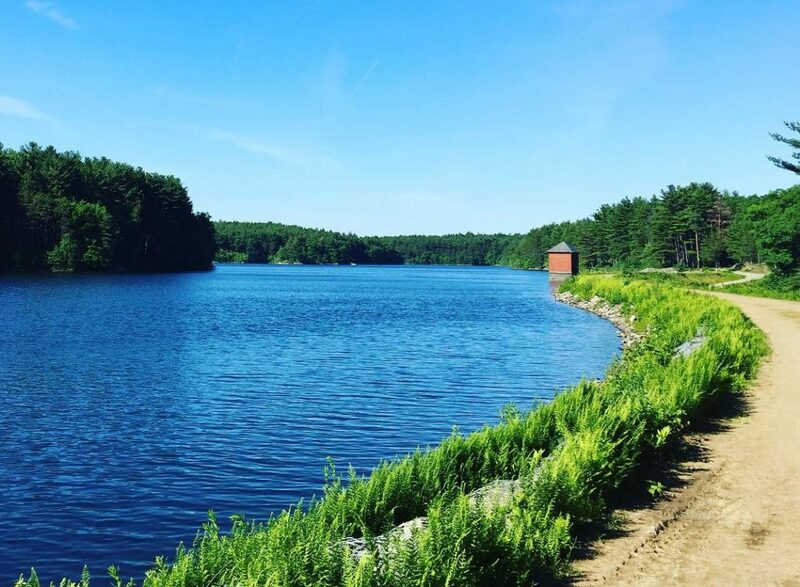 After you’re done hiking, go for a swim in the Hopkinton Reservoir or paddle its waters on a kayak. While Frederick Law Olmsted’s beautiful creation is associated with Harvard University, you’ll find it in Jamaica Plain. The 281 acres of the Arnold Arboretum house nearly 15,000 individual plants, which are free to visit from sunrise to sunset 365 days a year. 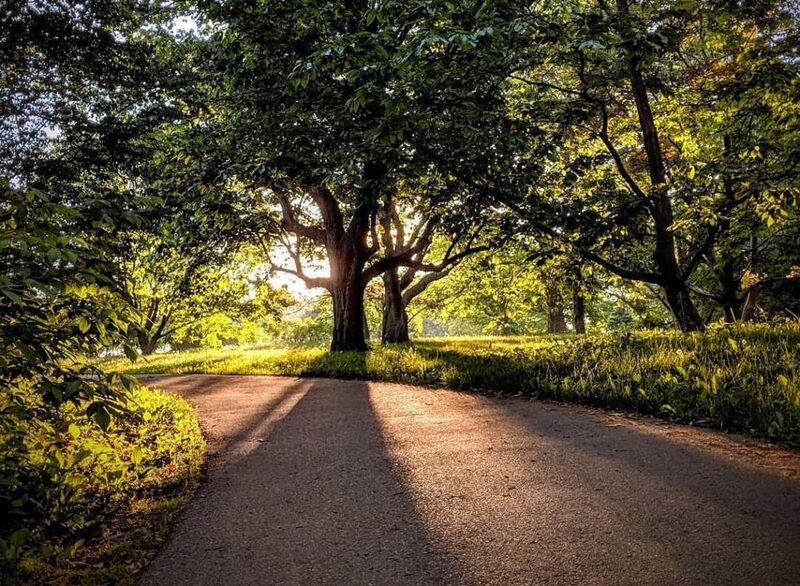 The arboretum is lined with dozens of paths, making it the perfect hiking spot when you don’t want to leave the city but need to get away from it all. 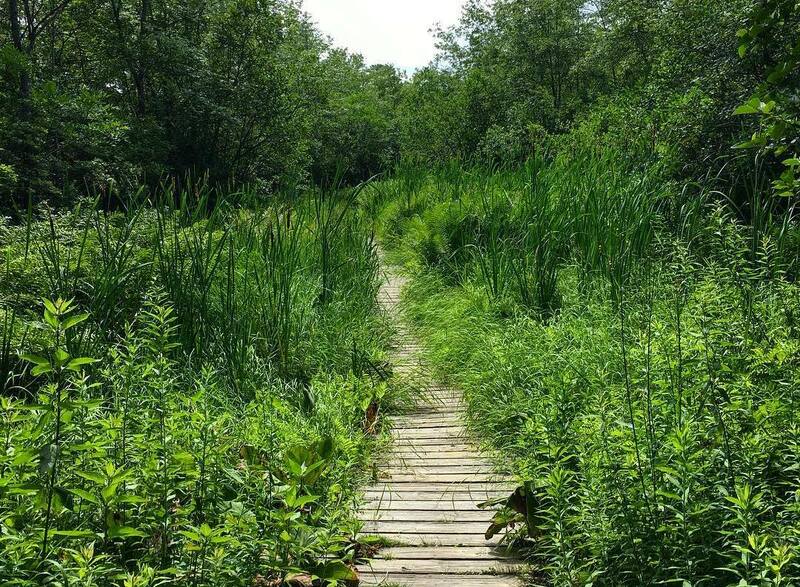 Explore the 10 miles of trails at Ward Reservation in Andover to discover some truly unique spots. Hike the three hills—Shrub, Boston, and Holt—for sweeping views. You MUST see the “Solstice Stones” on top of Holt Hill, which mark the cardinal points of the compass as well as the points of the summer and winter solstices and points of the spring and autumn equinoxes. Yeah, your phone can do that too, but this is nature! 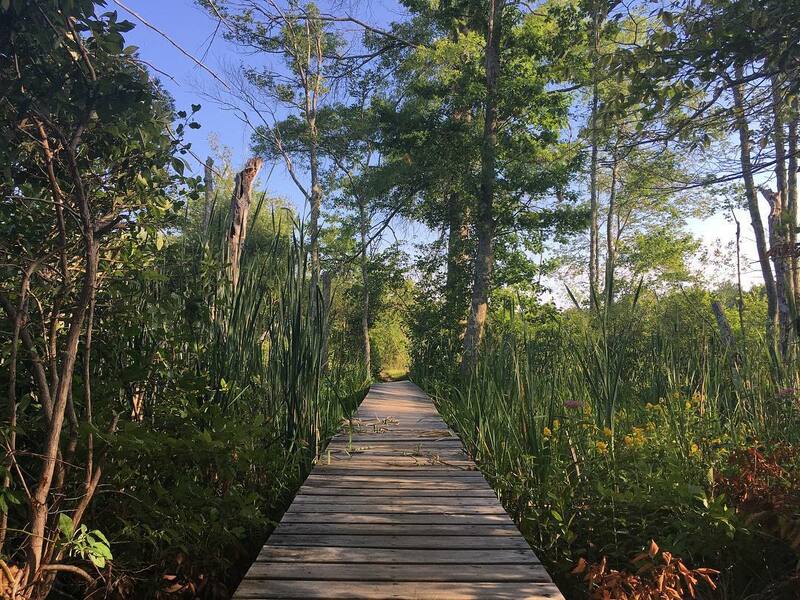 After you’re wowed, take the boardwalk to Pine Hole Pond over a quaking bog that’s teeming with special plant species, including insect-eating greenery! Head north of Boston to Harold Parker State Forest for wooded trails, a cozy campground and primo freshwater place to swim. Harold Parker has a ton of hiking options in the forest, but the Yellow Diamond Hike is a classic route. The 6.3-mile trail is of moderate difficulty and takes you through woodlands and near Salem Pond, which offers tranquil views. Summer adventure? Take a dip in Berry Pond after your hike to cool down. One of the premier hiking destinations in Southern New Hampshire, Mount Monadnock is less than two hours from Boston. And it’s well worth the drive. The trail to the top can be steep and rocky at times, but the view from the summit will literally take your breath away. And not just because you’re panting from the trek. It’s truly stunning and one that shouldn’t be missed. This 6,000-acre park can be found just south of the city, making it an easy destination for a quick escape. There are dozens of hiking trails to choose from at Blue Hills that can suit any ability level. Hoof it up to the Blue Hills Meteorological Observatory to take in incredible views of Boston. When you’re done, take a dip in nearby Houghton’s Pond to cool off. 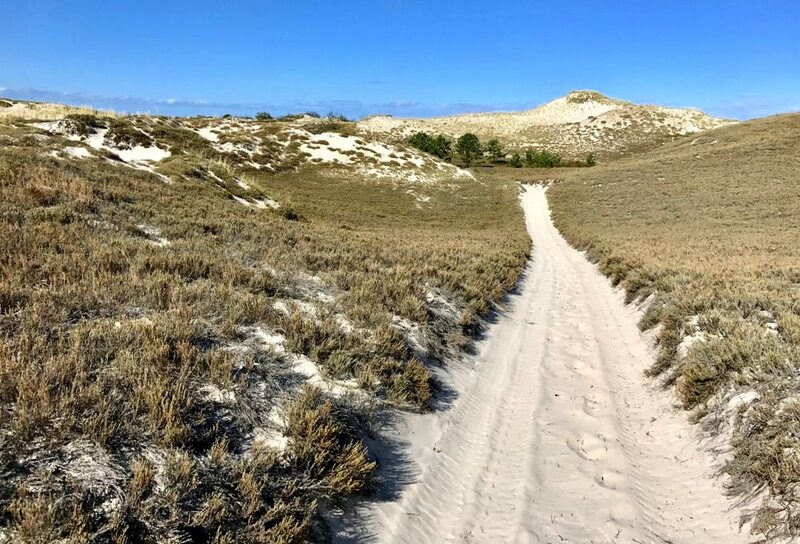 If you’re seeking a unique hiking experience, look no further than the Crane Beach Dunes in Ipswich. The beach is a popular summer destination, but the area provides opportunities to get outdoors in the off-seasons too. 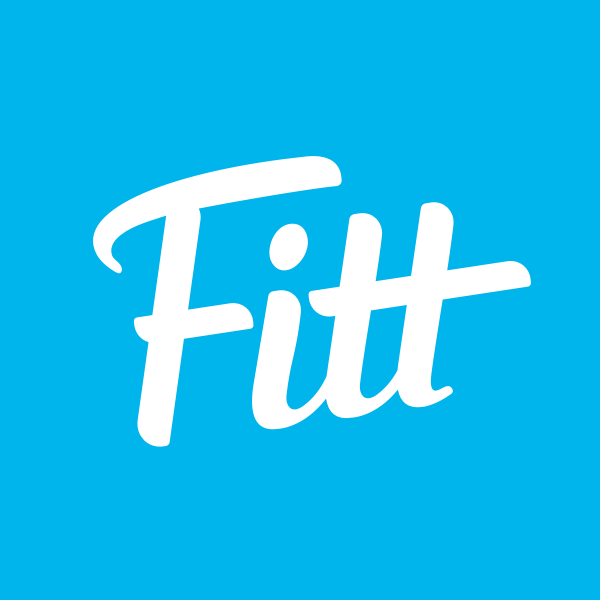 Hike the dunes for a great workout in an uber peaceful setting. Take the ferry from Long Wharf in Boston to Spectacle Island out in the harbor for a totally unique hiking experience. 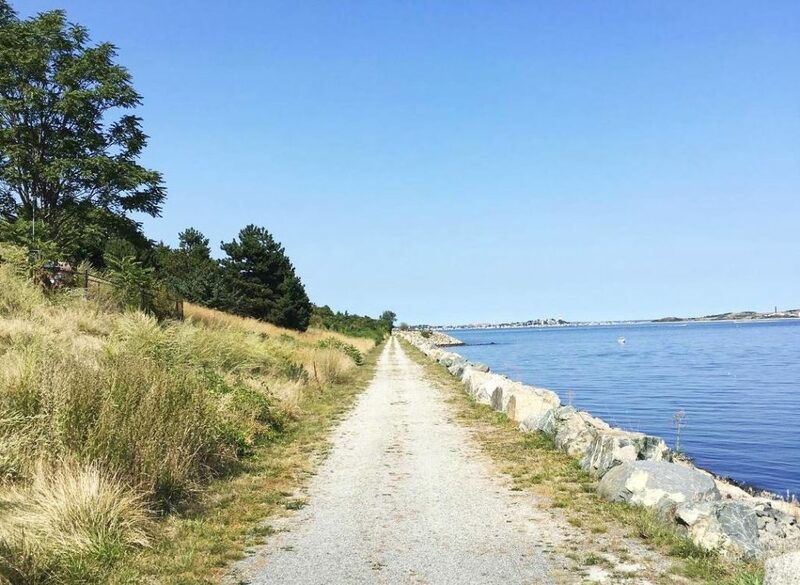 The island is home to the highest point in the harbor, the North Drumlin, which you can hike up for 360-degree views of the surrounding harbor, islands, and city of Boston. Bring your bathing suit and a picnic to relax with on the sandy beach after your hike. Get a glimpse of unique glacial land formations like a drumlin and an esker (we had to look up the correct spelling), which were created 15,000 years ago, at the Ipswich River Wildlife Sanctuary. Take the 12 miles of trails at the sanctuary through forests, meadows, and wetlands, or up to the observation tower. Don’t miss the boulders stacked to create arches and a rock grotto on the adventurous and aptly named Rockery Trail. 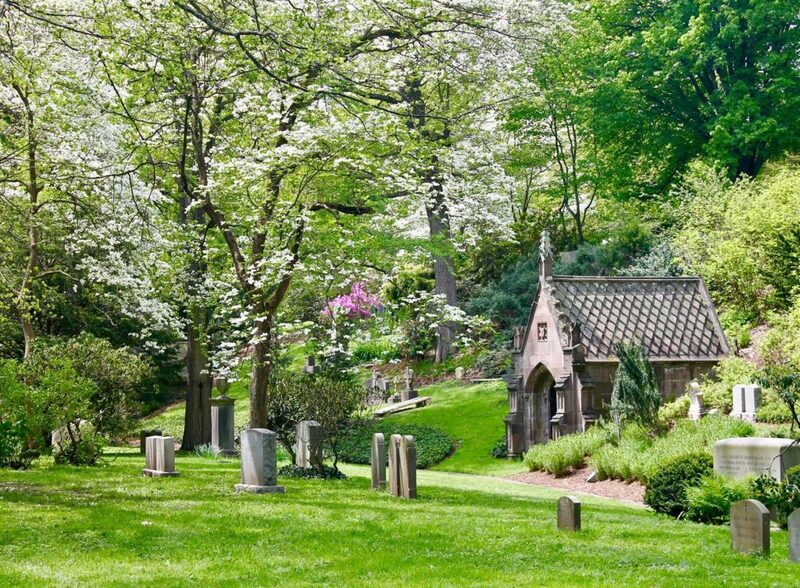 A cemetery might seem like an odd place to hike, but the trails at Mount Auburn in Cambridge are perfect for a city stroll. There are two paths to choose from, a one-mile inner loop and a two-mile outer loop. Whichever you pick, make sure you climb Washington Tower for terrific views of Boston and surrounding towns. In addition to being the final resting place of luminaries like artist Winslow Homer, cookbook author Fannie Farmer, and poet Henry Wadsworth Longfellow, Mount Auburn is bursting with beautiful plants and trees. The scenery at Halibut Point State Park is classic, rocky New England coastline at its best. We Bostonians take pride in the fact that our city is so full of history, but the 440 million-year-old granite at Halibut puts our colonial-era monuments to shame. Hike the trails at this Cape Ann recreation area for a glimpse into the region’s stone mining history and for stunning views of Crane Beach, Mount Agamenticus in Maine, and the Isles of Shoals off the coast of New Hampshire that you definitely won’t take for granite. This 2,200-acre park sunk its roots north of Boston in Lynn and may be one of the area’s best kept secrets. 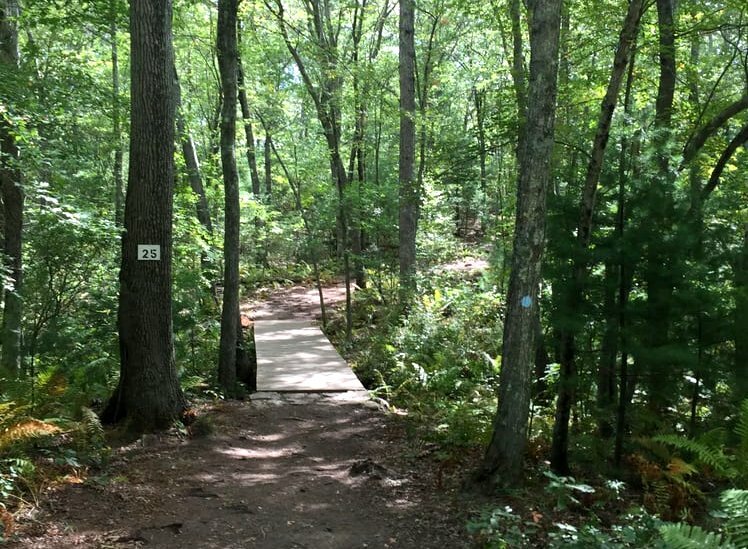 Lynn Woods is paradise for anyone who loves outdoor recreation. 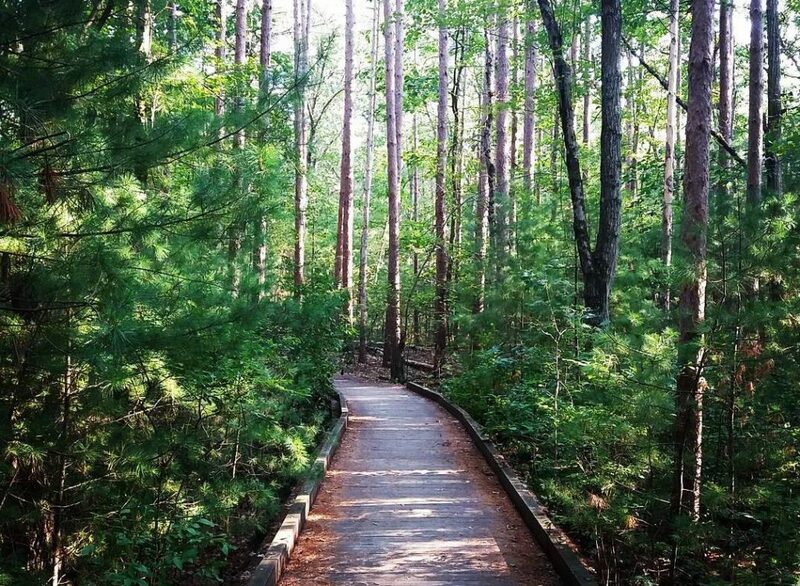 The second-largest city park in the U.S., Lynn Woods has 30 miles of trails just waiting for you to explore. If it’s open, take the spiral stairs up Stone Tower for long-range views of the area. Because it was formerly an estate, Maudslay State Park on the Merrimack River in Newburyport offers not only miles and miles of terrific trails for hiking, but a lot of unique features. 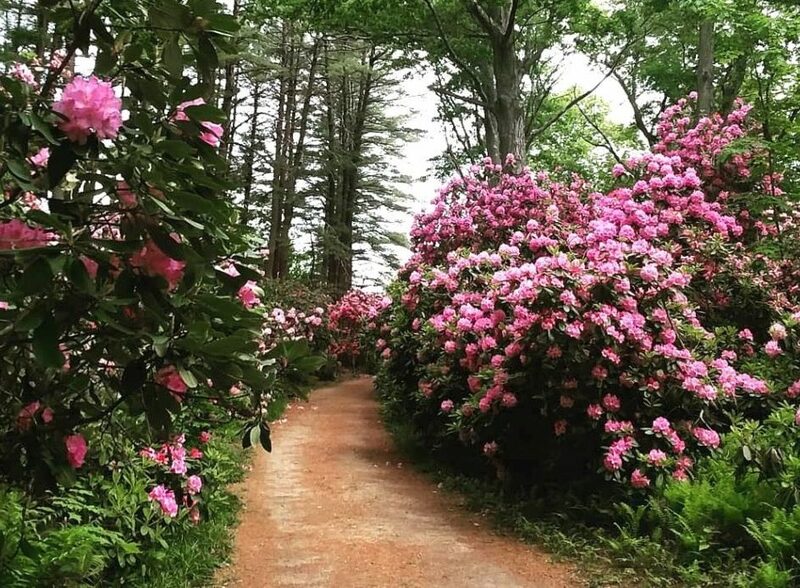 Head there in May or June to catch the masses of azaleas and rhododendrons in bloom. Gardens from the 19th century mixed with rolling meadows and towering pines make the landscape at Maudsley extra special. You won’t believe that someone actually lived there. 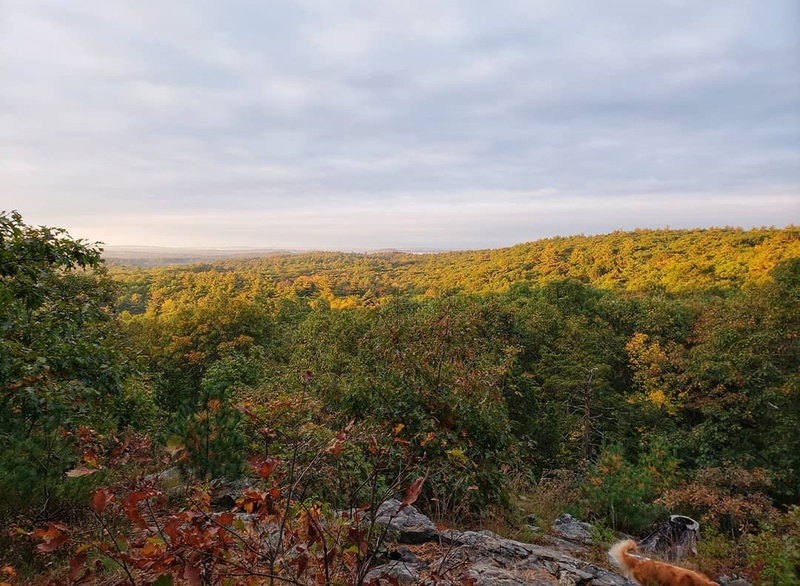 Head just north of Boston to the Middlesex Fells Reservation to hike the 2,500-acre state park that straddles several neighboring towns. There are more than 100 miles of trails(!) at the reservation that are great for any ability level, making it the perfect place for a walk in the woods. 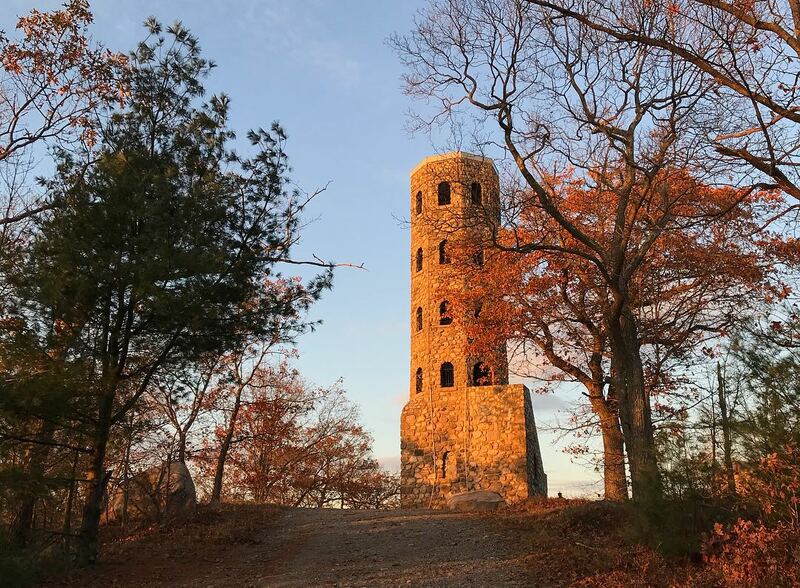 Hike the Skyline Trail, probably the Fells most popular trek, and make a point to snap a selfie with Boston from Wright’s Tower. This 17-mile recreation area offers dozens of trails from the short and simple to the longer and more strenuous. Noanet Woodlands in Dover features woodlands, wetlands, and an old mill site, all of which provide a pretty backdrop to your hike. And no visit to the woodlands would be complete without trekking up Noanet Peak for a gorgeous glimpse of the Boston skyline. Head to Medfield to hike the 6.5 miles of trails in Rocky Woods. 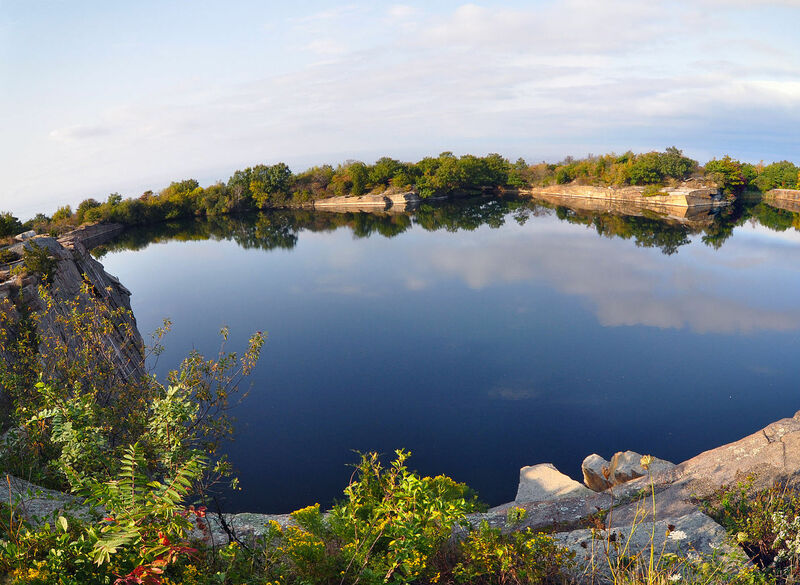 This nearly 500-acre green space combines nature and history with its five ponds and former quarry site. 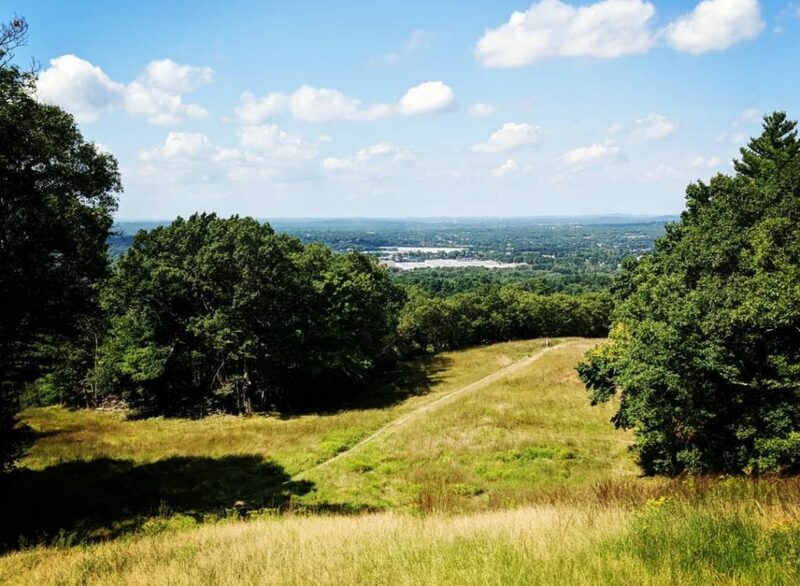 The trails at Rocky Woods offer a lot of flexibility, so you can make your hike short and sweet or spend the whole day exploring this beautiful wooded area. Challenge yourself with a hike up Cedar Hill to see for miles around.. While technically part of the Boston Harbor Islands National Recreation Area, World’s End in Hingham is no longer an island. But it is a wonderful place to go for a hike. The 251-acre green space has views of Boston and tree-lined carriage paths designed by Frederick Law Olmstead that offer peaceful paths for walking… so you know it’s real.